Jayme is using Smore newsletters to spread the word online. In area, Russia is the biggest country in the world. The Ural Mountains are in between the West Siberian Plain and the Northern-Siberian Plain. Russia's landmass is about 6,000 miles from east to west. Steppes are very large plains. The North Atlantic Drift keeps the water warm around Murmansk, to keep the water from freezing. To build the Trans-Siberian Railways many construction workers had to help. More than a thousand soldiers, Russian pleasants and convicts were enlisted to help build the railways too. Soon after the railways were made more than 5 million people immigrated in to Russia. One of the hardest things is that the gauge (width of the railways), in bigger in Russia than China and Europe. 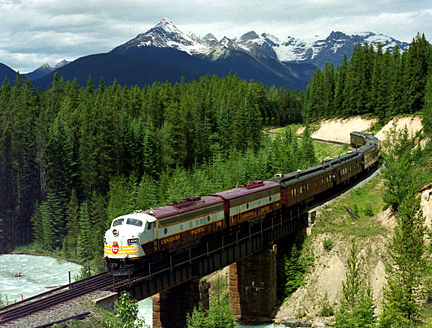 Trans-Siberian means "across Siberia". In 1913 Russia became the the 5th largest industrial nation ever. But some peasants starved because their harvests are poor. Ivan IV made some laws that made peasants become attached to the land as serfs. An activist and politician V.I. Lenin had made a politician group called the Bolsheviks. 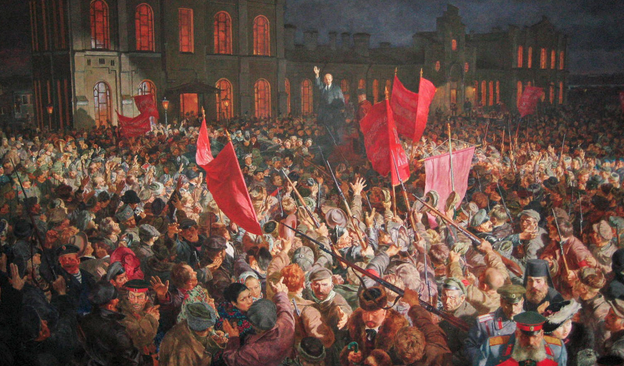 Lenin became the leader of the new government in February 1917, when the Bolsheviks begun the Russian Revolution.